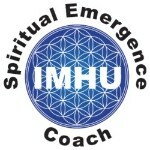 If you would like to obtain more knowledge about “How to Effectively Support Someone in Spiritual Emergency” go to https://imhu.org/spiritual-emergency. This describes a course given online by an expert in the field, Emma Bragdon, PhD. The course involves 5 online LIVE webinars, Q&A with Emma, online discussion among all participants, and additional videos and articles to deepen perspective. The course is for people living through an intense episode, aka spiritual crisis, and also family, friends, loved ones, and counselors. All are welcome! The course reveals that having an intense reaction to ET contact or disclosure can catalyze a spiritual crisis; also, there are many other events happening today that may also catalyze these crises and they are described, as well. The course orients participants about the territory and maps out how to move through it as easily as possible.